Gelato is a crucial part of any visit to Italy and gelato shops are a dime a dozen sadly, so it’s important to make sure you visit the best one! 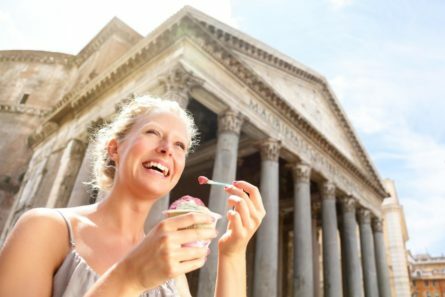 On your private Rome Gelato Tour with Italy’s Best, your private guide and food expert will take you to three artisan gelato makers where you’ll get to watch the masters at work then sample some signature flavors from each. As you stroll from gelateria to gelateria, your guide will discuss the history of gelato and its current trends, and you’ll also learn about its other frozen counterparts: granita and sorbet. By the time you’re done, you’ll know how to tell the difference between good and bad gelato, and have a newfound appreciation for this cherished Italian treat.